NEW “scaring techniques” could be used to stop Scotland’s largest bird of prey hunting lambs. 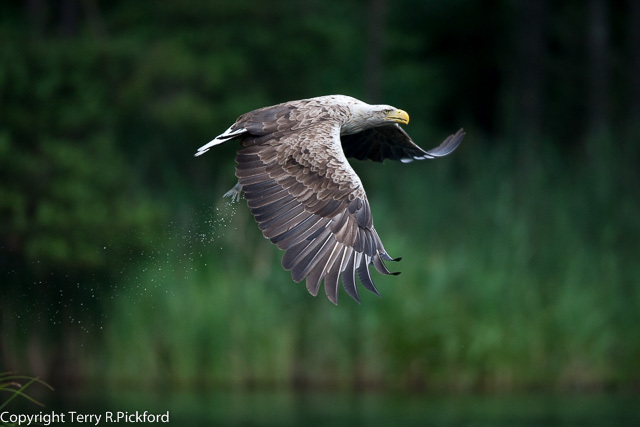 With an 8ft wingspan, sea eagles are so large they are nicknamed “flying barn doors”. The species died out in Scotland 100 years ago and has been reintroduced in control numbers released in three phases around the country between 1975 and 2012. Estimates suggest there are now at least 113 pairs, but concerns remain about their impact on sheep farming. Now trials are underway to find new ways to protect livestock in key areas. This includes the felling of trees used for nesting by sea eagles near lambing sites and new deterrence methods. These “scaring techniques” include research into the use of both sound and light-based systems. If successful, these methods could be rolled out as part of efforts to protect livestock at sites where the species has been proven to attack herds. A small number of farms in west coast location are working with Scottish Natural Heritage (SNH) and partners on the project, which focuses on sites where standard measures like extra shepherding have failed. Concerns about the impact on farming were cited by critics of the reintroduction scheme in previous years. Meanwhile, the sea eagle population is expected to grow to around 221 pairs within less than ten years, potentially increasing again to a “much larger” number by 2040 as it moves into new territories, according to SNH. Commenting on the latest development, Andrew Bauer of the National Farmers Union (NFU) Scotland said fears about predation had been borne out by experience. He stated: “NFU Scotland welcomes the continued commitment of SNH and other organisations to find ways to reduce the risk of sea eagle predation of lambs and sheep. The felling of trees used for nesting will be allowed only outwith the breeding season to safeguard numbers of the protected species. One licence has so far been granted for work on the National Forest Estate north of Oban next to a farm where lamb losses have been proven. 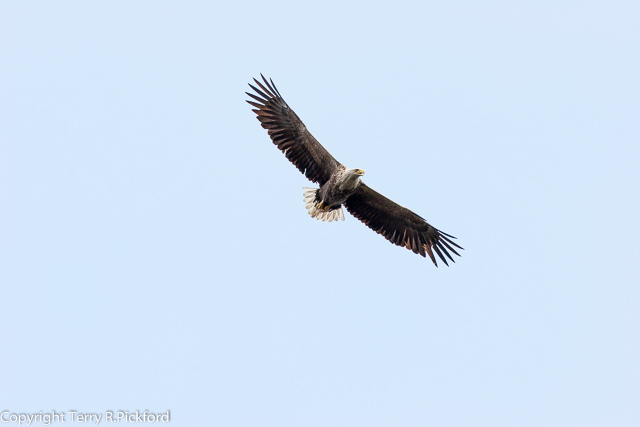 Ross Lilley, SNH sea eagle project manager, said: “We’re working closely with farmers and crofters, National Farmers Union Scotland, RSPB Scotland, Forest Enterprise Scotland and others to thoroughly understand the part sea eagles play in livestock losses. “The trial is about finding a balance between livestock farming and wildlife and recognising the benefits that each brings to us all. 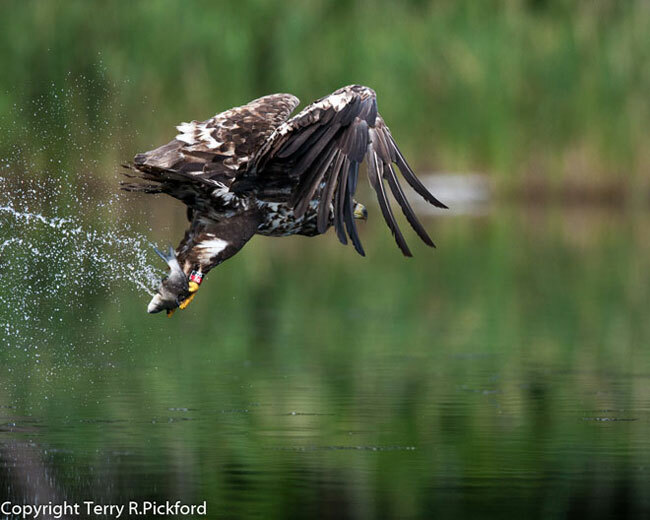 Seasonal food cache in Poland to help the White-tailed eagle find sufficient alternate food during the winter when the lakes and rivers are frozen. AS birds can travel any where between 20 – 30 miles to look for food a few trees down are not going to make much difference! Food cache like for Hen Harriers is another way to go. Planting up the lambing fields would be a better solution as Brexit is going to devastate hill farming. Big estates are already getting rid of their tenants and doing this. Langholm is getting rid of 17 farmers and planting trees. Houses for holiday lets will make more money. It is called the ‘Highland clearance’ part 2. Firstly let me say I have insufficient, first hand knowledge, of the situation described in this article, however I would like to raise a few, to me, relevant points. It is good that, at least in some quarters, there is a willingness to admit a problem may exist. For too long, those in denial have hidden behind the myth that only dead, or sickly lambs are taken. A workable solution must be found, but i am not sure the idea of felling what, by implication, must be mature trees is a sound one, where does it end? I have raised a similar question in my own area, concerning the felling of isolated, and therefore scenically valuable trees, to prevent corvids using them as nest sites, and perches,from which to launch attacks on declining waders. The shotgun and Larsen trap would be a preferable method, with the tree as the focal point, this solution obviously does not apply to White Tailed Eagles!. Conservationists complain that grouse keepers remove moorland trees for similar reasons, you can’t have it both ways. The scarring (or possibly conditioned avoidance) route, seems a more fruitful one to be following in my book. However even here consider that noises, if used to dissuade nesting attempts, could be compared to the much vilified gas guns used on moorland, and even light based methods to the Game and Wildlife Conservation Trusts experiments with lasers, also attracting unfavourable comment in some quarters. While on the topic, was any serious consideration given to trialling the so called “Electric pole shocker” (Raptor Politics 4th January),to reduce the predation of game birds in pens by raptors, and therefore the desire to illegally (or in some cases legally), control these birds. very Short sighted ! No mention to the enormous costs to tourism which the north west highlands relies on to ensure its continuing economy. Cheaper to compensate the farmers. OMG you are well named Trapit , what a litany of nonsense , you and your outdated interventionist attitude is the problem here.Sea Eagles take the odd subsidised lamb, buzzards take the odd non native pheasant poult from millions released to provide someone with the unsurpassed joy of killing it. Get used to it its called nature. How did nature manage for hundreds of thousands of years without you to cut down trees, condition avoid it, dissuade nesting attempts, laser it or electric pole shock it ? Here’s a crazy idea, respect nature and work with it . John,I suppose this will mean less breeding ground for waders,and more vermin to harass what is left?. Mr Coogan, it wasn’t my idea to cut down nesting trees,and it should be obvious that I don’t agree with it,whether we are talking crows or eagles. The scaring tactics likewise have been dreamt up by somebody else,I was merely pointing out how some people might view them as being a bit hypocritical. A government body has issued a licence to control Buzzards,which i also disagree with,and i was just wondering why an alternative such as I mentioned has not been trialled. I am glad you like my nom-de-plume. I don’t like it ,I just think it sums you up , and why do you suppose I am a Mr? J.Coogan, names are really irrelevant aren’t they? The main thing is that I think i have raised some valid points, that bring something to the discussion. I apologize for making assumptions concerning your gender.